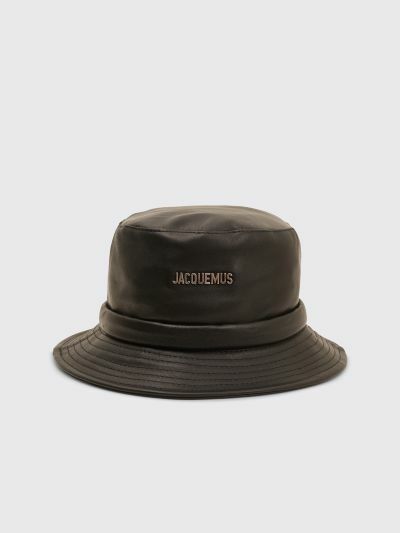 Bucket hat from Jacquemus made from calf skin with contrasting metal logo on the front and drawstrings on the back. 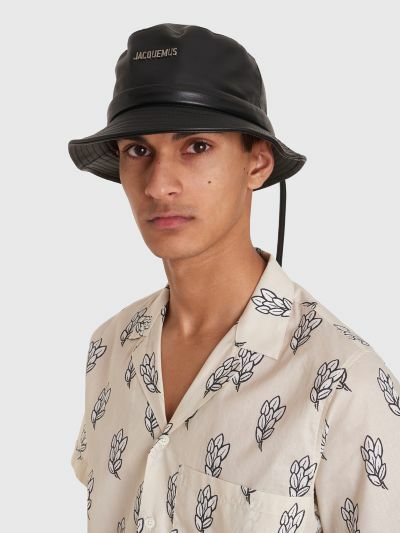 Fully lined with a soft cotton fabric. 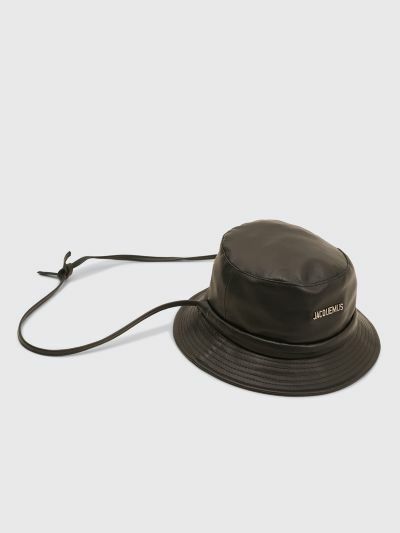 Black bucket hat. 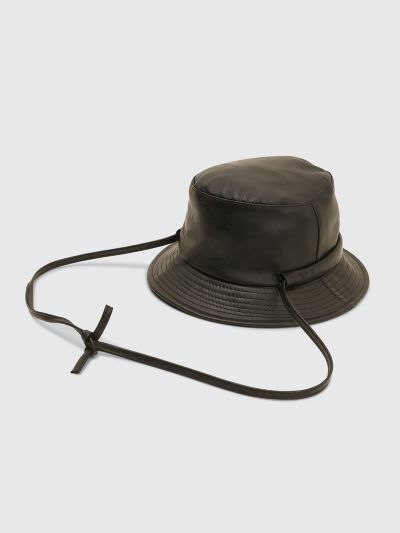 Made from 100% calf skin. One size. Adjustable drawstring at the back.